Features: Responsive design (RWD), Paypal shopping cart setup on products page, sidebar social links. Details: Can be purchased with or without hosting. Included free with any Allwebco hosting package. HTML5 / CSS, JPG images, plain text or graphic header. City and people stock photos. Eight page designs with Paypal shopping cart. Includes step by step instructions and support. Can be edited using any HTML or plain text editor. HTML5 / CSS, JPG images, plain text or graphic header. Forest and nature stock photos. HTML5 / CSS, JPG images, plain text or graphic header. Flower and garden stock photos. HTML5 / CSS, JPG images, plain text or graphic header. Flower, nature and people stock images. 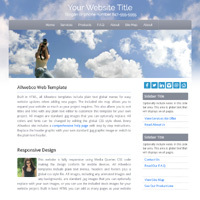 HTML5 / CSS, JPG images, plain text graphic header. Southwestern and Arizona stock photos. 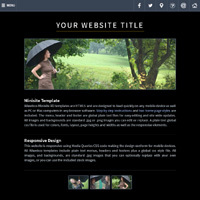 HTML5 / CSS, JPG images, plain text or graphic header. Sky, nature and people stock photos. HTML5 / CSS, JPG images, plain text or graphic header. Lighthouse and coastal stock photos. 5 Pages: Home, about, services, contact us and missing blank page. Features: Optional homepage layout, editable social links, integrated Google Fonts, mobile friendly "click" menu. Can be combined with other Minisite RD templates. Details: HTML5 and JPG images. Mobile and tablet compatible, iPad, iPhone, etc. Included free with any Allwebco hosting package. 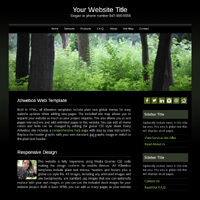 Responsive HTML5 CSS3 webpage templates with easy to replace .jpg images and plain text menus. 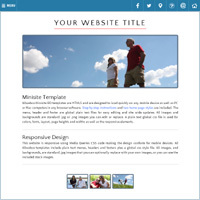 Sites from the Minisite RD group can be combined to add extra features and pages. Each template webpage can be duplicated and/or re-named to allow for unlimited website expandability. Once a new page is added, use any plain text editor to add new buttons in the global "menu.js" file. 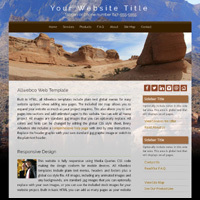 View the website template tour or see the built-in features list. All stock photos and source files are included with the download. If you are new to website development see How to Build a Website. Each webpage template design is setup using standard .jpg pictures to allow for modification or replacement of all images. 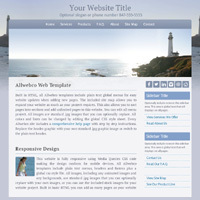 Graphics replacement is optional and new software is not required to build your website with Allwebco HTML designs. 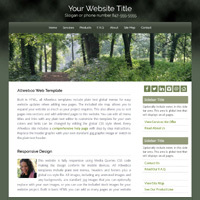 Template designs that include dynamic animation are setup using "linked" images and text. Adobe software is not required for any editing. 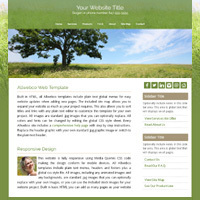 Website templates are built using a global CSS style file for editable colors, fonts and rollover effects. Built using standard HTML, all template downloads include all source files, step by step help, access to the Allwebco support area as well as full email website support. Designs can be used with any host and are fully compatible in all new, as well as most older, web browsers. MS IE, Google Chrome, Firefox, Safari, Netscape, Opera, and more. For Mac or PC on laptop, tablets, smartphones, and mobile devices. Read FAQ page. 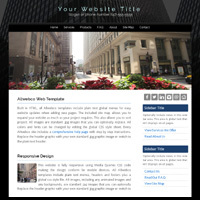 Why Are Allwebco Website Template Designs Your Best Choice? Included with many of our template designs is the Paypal shopping cart. The Paypal payment processor is setup specifically for on-line sales of any type of products or services through your website. Options for size, color, amount and others can all be setup right in the forms. See options in support. Setting up a new Paypal account is free. 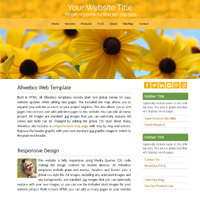 A selection of our website templates will include the 2CO shopping cart. There is a small startup charge to create a new 2CO account. Allwebco webpage designs are offered exclusively on our website and are not available anywhere else.